...and now I am solidly in my intern year! yup, that's right - the beginning of July is one of the scariest times to be in a hospital because everyone is brand new at their role - well not everyone, but it's the medical world's version of the start of the school year. somehow in this week, I've taken care of women who are miscarrying, performed c-sections 9not by myself), managed several laboring patients - not to mention their partners, learned how to take care of common post-partum problems, helped separate several women from their uteri, helped a mom breast feed her baby in the ICU, circumcised a bunch of new baby boys, and learned a ton. Its hard to believe that I've had just one day off since we started (one day in three weeks! ), with most of my days starting with me waking up at 4:30 and not leaving work until after 8. I still am running around like a chicken with my head cut off. I am only just figuring out what goes where, all the shortcuts around the hospital, where to get snacks in the middle of the day - you know, all the important stuff, but it is so awesome, that even though I wake up in the middle of the night thinking about a patient and wondering if I should have said/done/thought something differently, I really really love it. I was in my first c-section a few days ago and I got to do my "half" of the procedure in a woman who had an emergency c-section before her due date, a rather scary version of a pretty basic and common procedure. Typically c-sections are performed by two surgeons and they mirror each other with steps, each working on the side with which they have the best angle. The c-section can basically be divided into three parts: (1) the exposure of the uterus, (2) delivering the baby, (3) repairing all the abdominal layers and controlling bleeding. You would think the first part would be the scariest, because the baby is still yet to be born and sometimes you want to get the baby out pretty fast, but actually, parts 2+3 are much scarier. 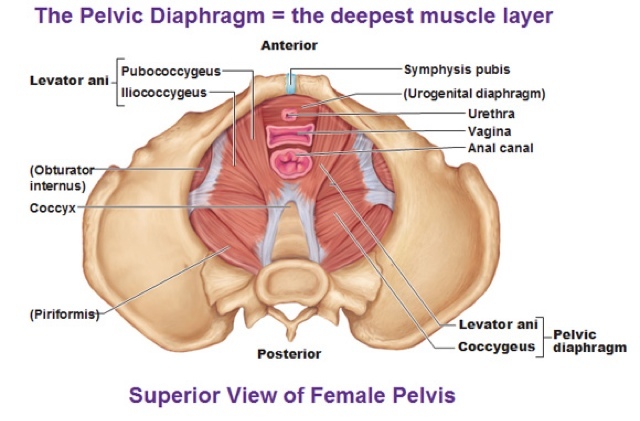 Delivering a baby out of a hole that is not designed to deliver a baby is incredibly difficult and involves a huge amount of pressure on the top of the uterus (or bottom, depending on your perspective). So in this c-section, my attending delivers the baby and I am pushing on the uterus. Then the baby is out, the cord is clamped, and I realize the baby is looking a little blue and not really breathing well, just as my attending yells - take it to Peds (pediatrics). I felt like the world just paused as I looked around the room, through my mask, at everyone else's masked faces with their eyes staring wide, expectantly, at me. That's when I realized that they meant ME. me? ME! ME to pick up this kinda blue, kinda not breathing, very slimy baby and carry it across the operating room to the pediatrics team. So I grabbed the baby's feet in the hold that they teach us, put one hand under his head, supporting his entire little slimy body with my arm and carry him over to the pediatrics team - where he started breathing and regaining color immediately. No one else even noticed how long those two seconds were for me, but I definitely was full-body blushing under my layers of sterile gown as we started to close the abdomen. I admitted a young woman in her early 30s for induction for low amniotic fluid and was with her all day as she slowly moved into labor. She had been trying to drink tons of water all day, because she thought that might increase her amniotic fluid (possible, unlikely). I explained to her that we give women fluids when they are in labor earlier than we want them to be (preterm labor) so there is one school of thought that thinks that women trying to get into labor should have less fluids (or at least not over-hydrate) because it concentrates the amount of oxytocin (the hormone that stimulates contractions) and explained to her what the monitors were saying. I think she liked that I included her in how we were interpreting the tests. But after a full day of laboring patients, it was time for me to go home just as she was reaching the active phase of labor. she thanked me, gave me a huge hug and said, so sincerely, so gratefully, "Erica - you are going to be such a great doctor someday. I will definitely be a patient in your practice!" I was obviously very flattered, but then I thought - wait a second, I AM A DOCTOR! but I know what she meant - without supervision, making all my own decisions without having to get some (or maybe all at this point) approved by someone else. that's all - to yoga and to bed to wake up and do it all over again. I feel so grateful and honored to be able to do this for women.